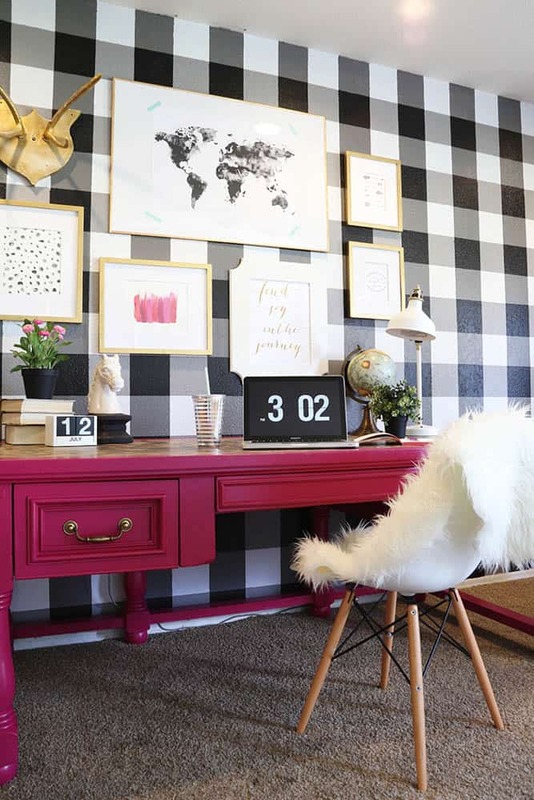 Shop Room Ideas begins our buffalo check journey with this gorgeous and bold accent wall. 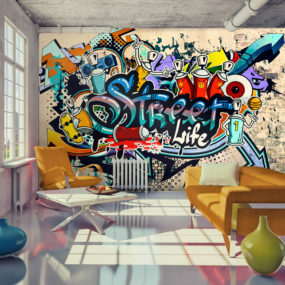 Perfect for sprucing up a glam home office or even a playroom, it’s a unique way to add extra style to your home. It could be a really fun DIY project for you and your beau to take on too. 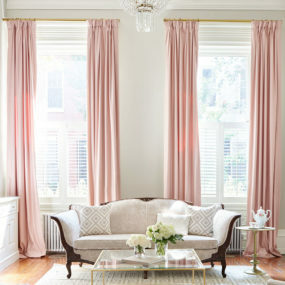 Check out these gorgeous curtains and how well they blend in this traditionally-styled living room. 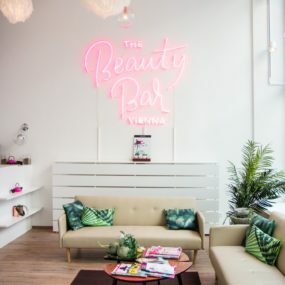 There are so many wonderful layers and comforts surrounding the space. And that buffalo check addition gives it a rustic punch that we love. It’s a beautiful scene found at Home & Happiness. The Modern Nest featured this crisp bedding and we love how it tops off the simple room so nicely. It’s a modern, crisp space that gets a pretty, personal touch with the addition of the printed bedding. And it works for both more masculine spaces as well as those with some girlish flair. 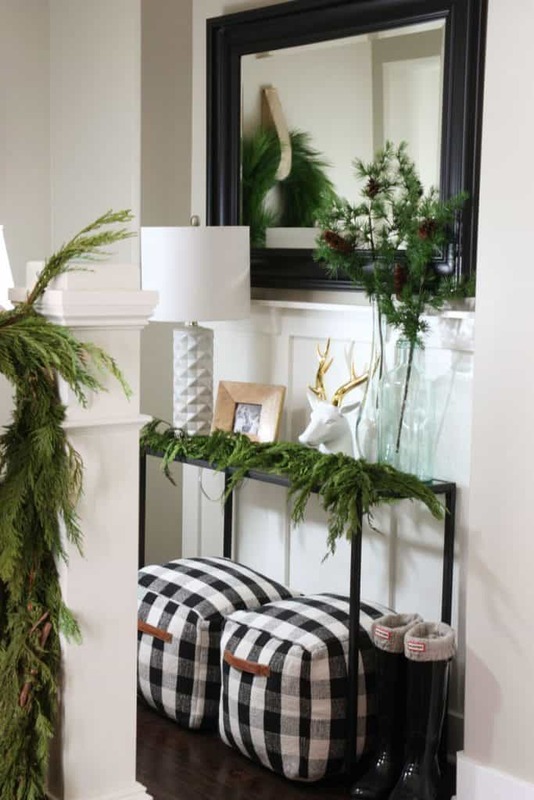 Buffalo check – specifically black and white – works great around the holidays. 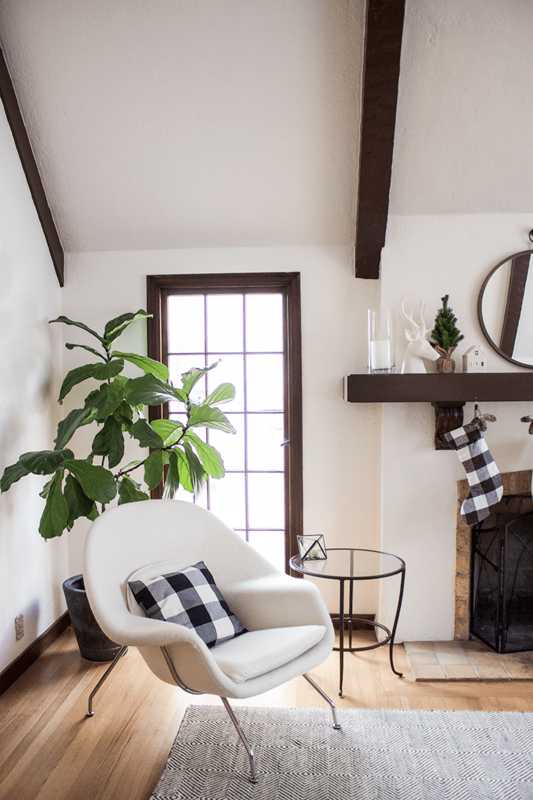 It adds an edge of winter air and homey vibes. 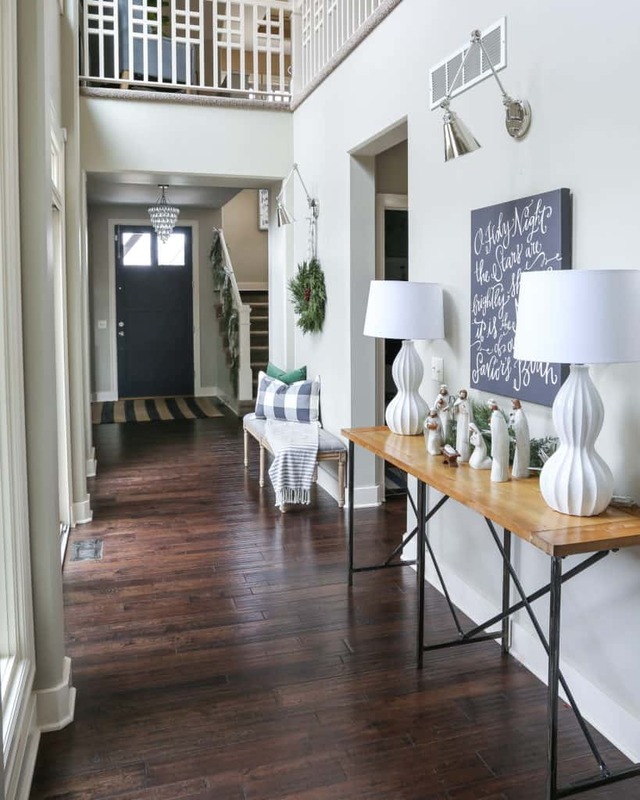 Just look at this foyer space we found on Life on Virginia Street – it’s a beauty and has such a cozy, welcoming feeling. You can find buffalo check in lighter schemes as well. 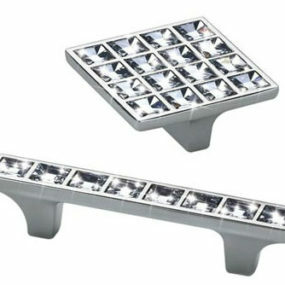 It provides a much more soft and romantic presence. 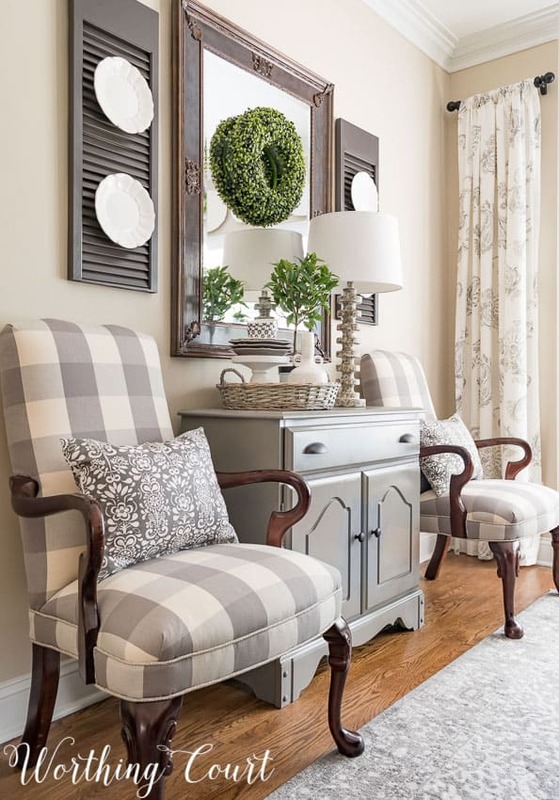 These Worthing Court accent chairs give this space a cottage, vintage style that we love. Centsational Style featured this peek and we immediately fell in love with the boldness and combination of black, white and fuchsia. This sofa is such a great piece for the house and a true way to add personalized style to nooks and crannies. 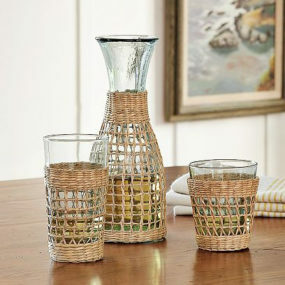 Perfect in a larger, open foyer or maybe even inside a home office or studio apartment. 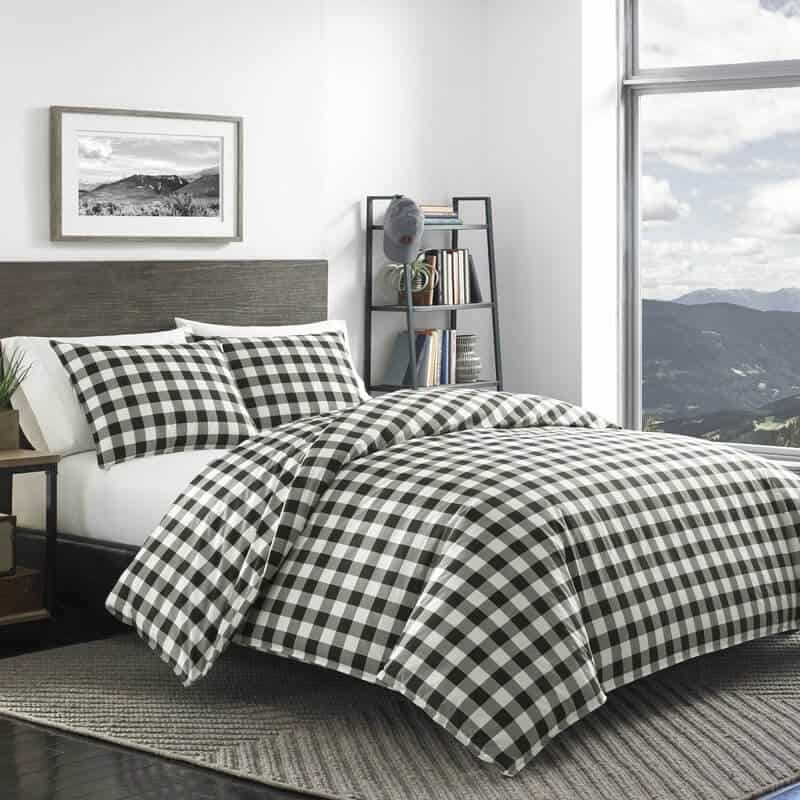 There are thinner buffalo check prints in more subdued colors that could inspire your tastes as well. Just look at this setup up from How to Nest For Less for instance. 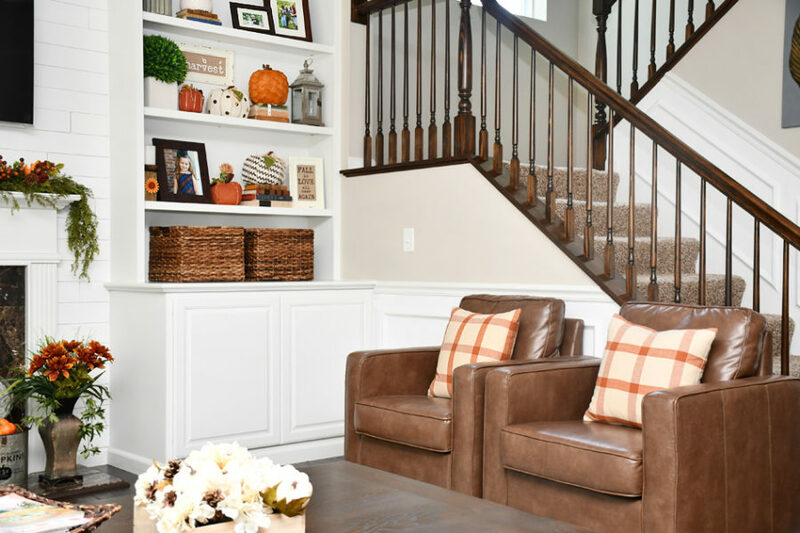 Those orange and cream throw pillows add a rustic, farmhouse flair to the space with ease and cozy appeal. 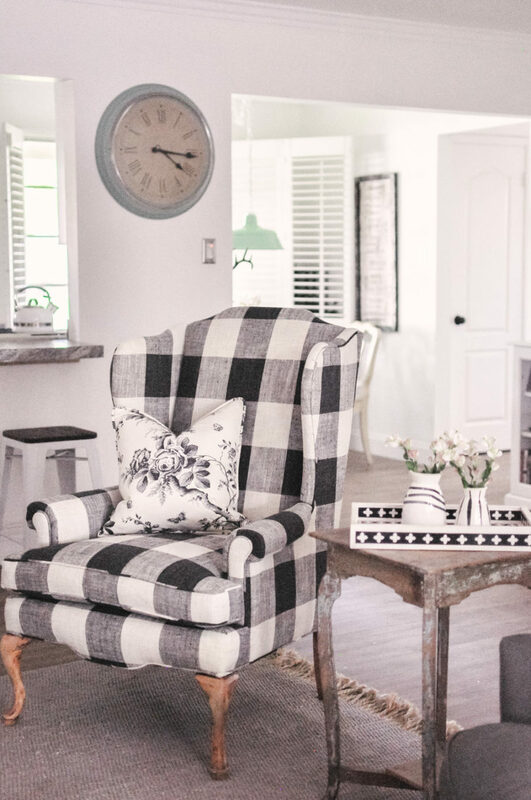 Here’s another great example of how just a pinch of classic, black and white buffalo check prints can really spruce up a space. 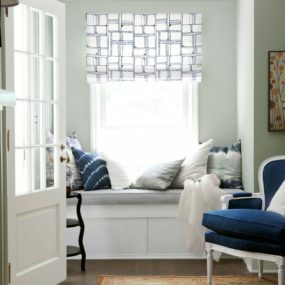 This corner from Copycat Chic sets a beautiful scene – between the throw pillow and stocking you can see how this pattern works well for more contemporary areas as well. 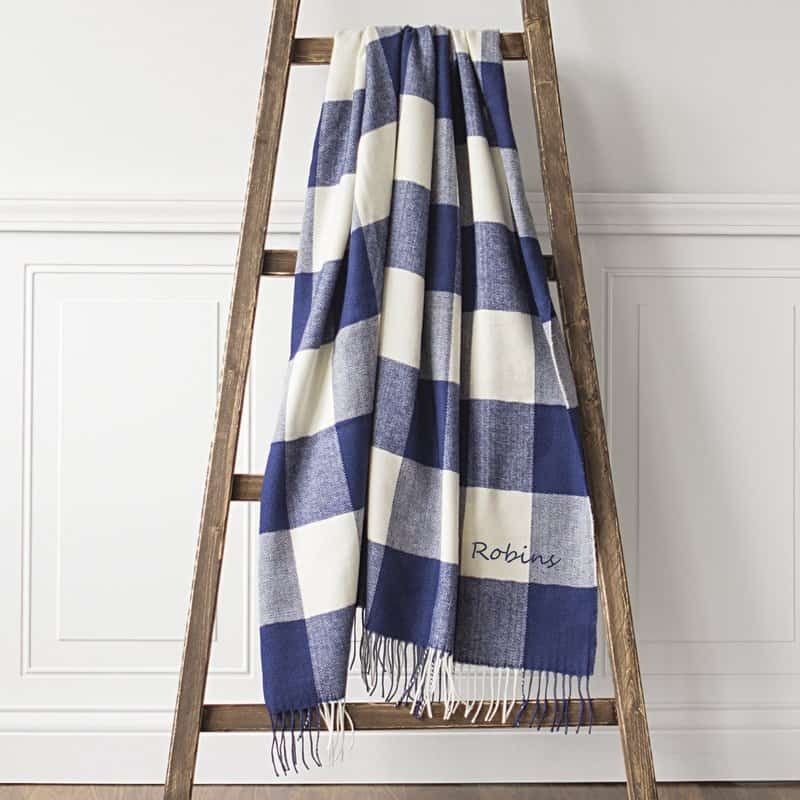 Remodelaholic showed off this adorable buffalo check blanket. Not only does it make a great gift for friends and family, but it works like a throw pillow in that same sense of personalizing. You can throw it over a sofa or accent chair for a pop of color and bold flavor. Check out these bins we found over at ARCH.DSGN! It’s just another great example of how versatile and blendable this particular print can be. 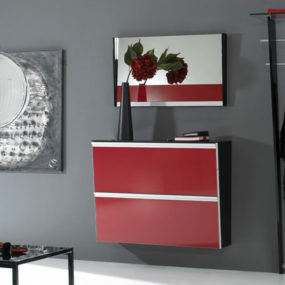 Organize and style with functional pieces that hold their own personality. Liz Marie never fails us and that goes for this little porch scene as well. 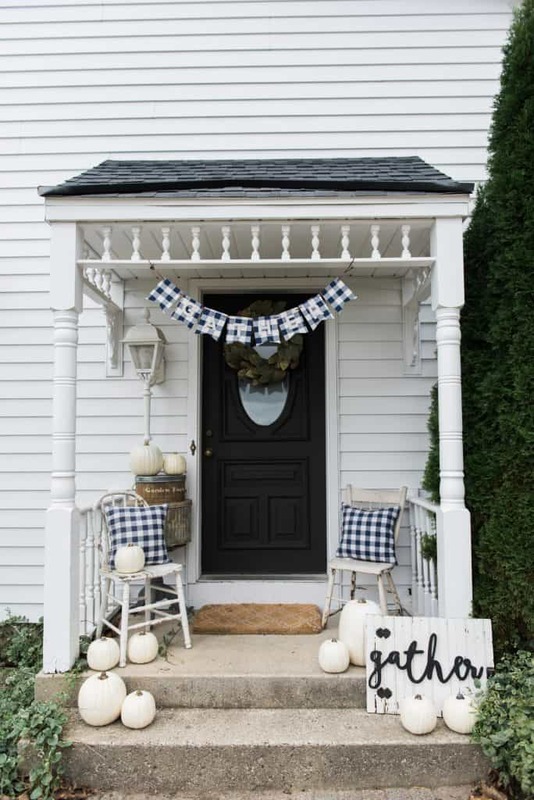 We love the addition of the pillows and bunting paper for her fall scene. It’s got a cozy charm about it that’s incredibly inviting. Here’s another accent chair but this time it holds a bolder print. We’re loving this scene from Love and Specs and how it’s both powerful and wildly girlish at the same time. 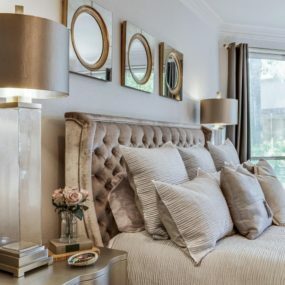 If you’re looking to add a bit of glam to the house, this really is the way to go. 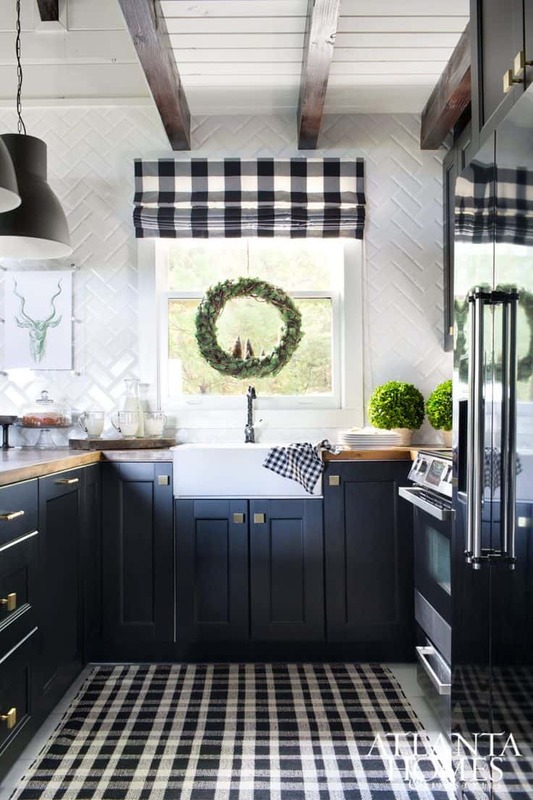 We really love adding some buffalo check to the kitchen as well. 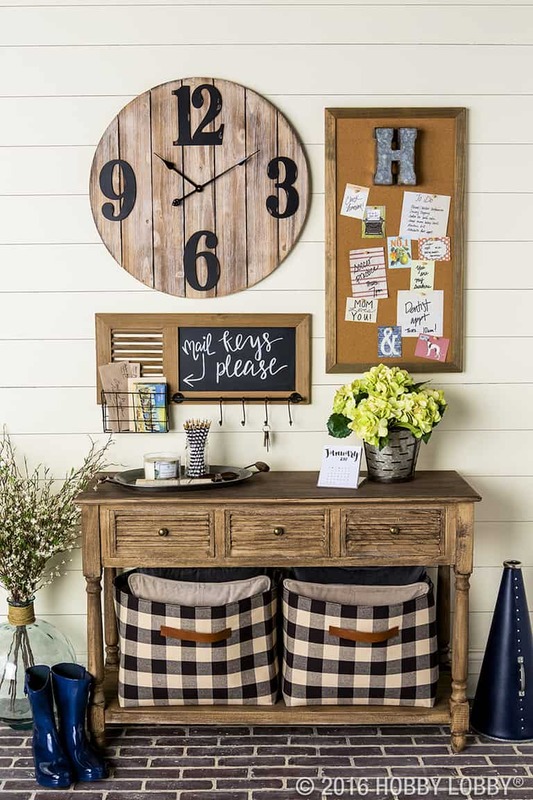 Just look at this setup we found over at Simply Interiors! The rug, the curtain, and even the cloth add a pop of personality into a space that’s filled with edginess and industrial vibes. It almost lightens the mood! 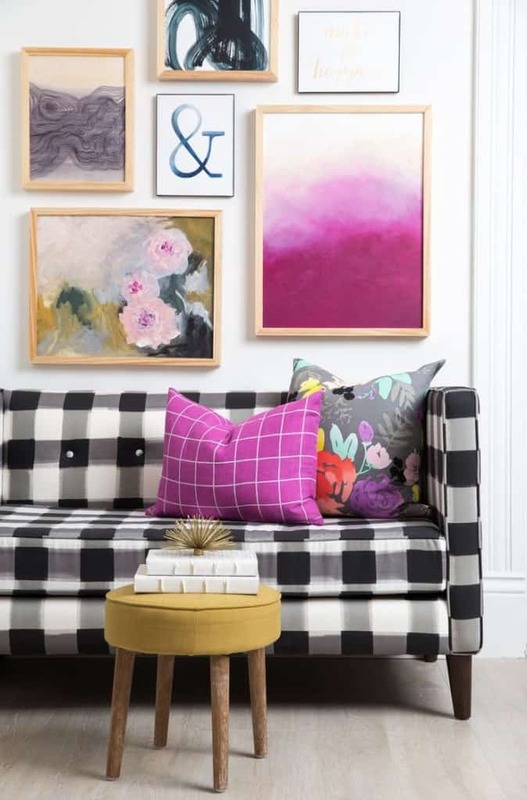 We’re loving the strong, yellow buffalo check here too. 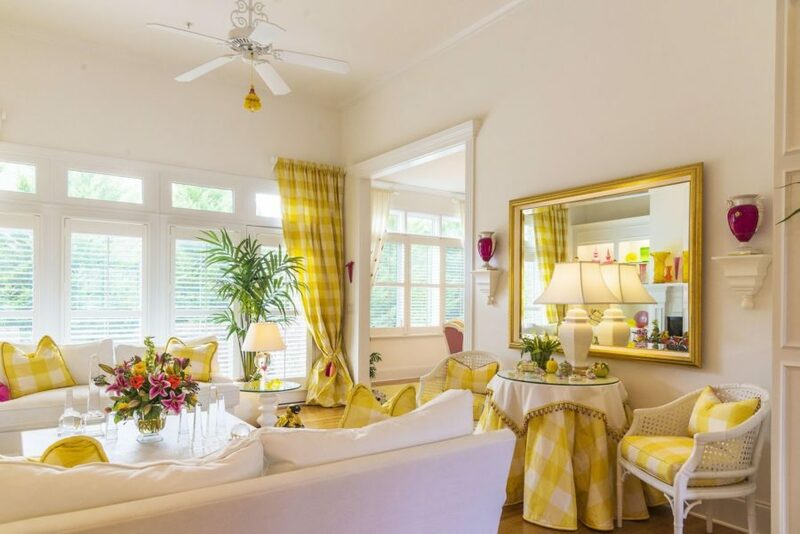 It’s bright and feminine, full of smiles and springtime appeal. Thanks for sharing this space Atom Interiors and getting our wheels turning! Life on Virginia Street displayed this beautiful foyer and hallway and that soft, gray buffalo check pillow in the hallway caught our eyes. 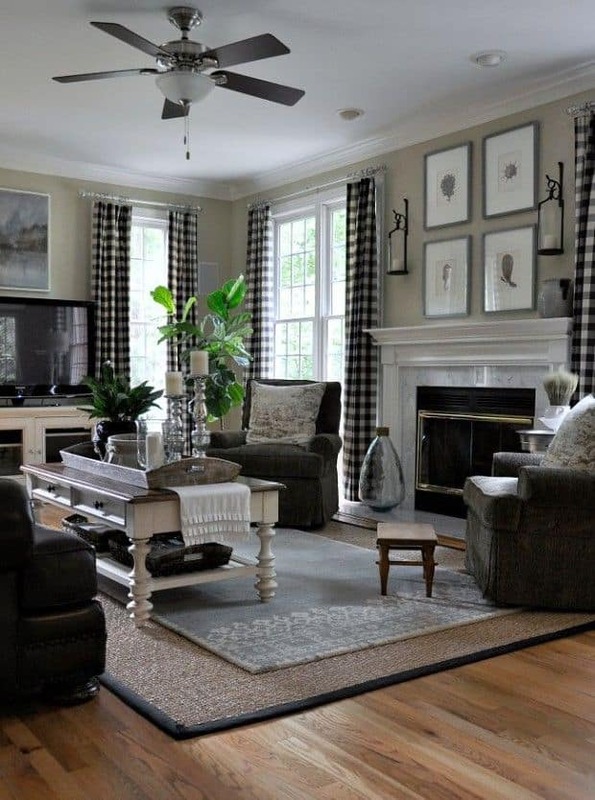 It mixes well with other patterns, like those stripes and blends well with the neutral colors on the walls too.